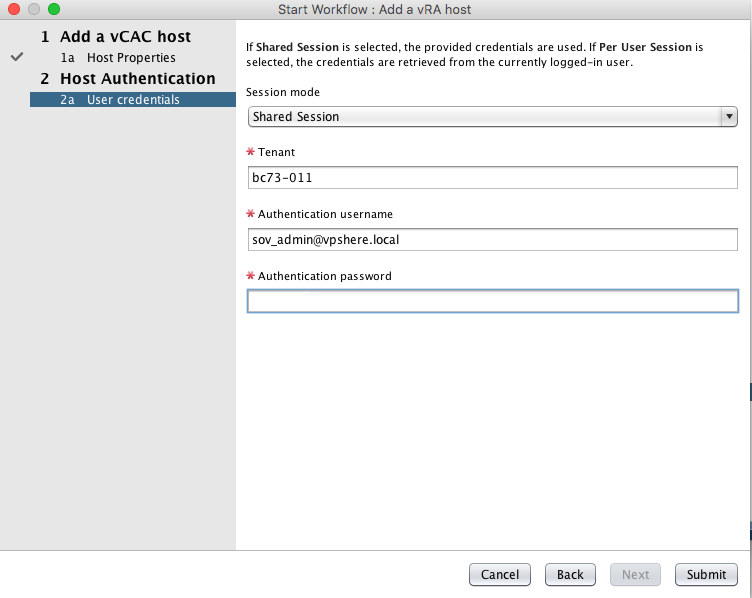 The default vRA host will not work for the SovLabs plugin. 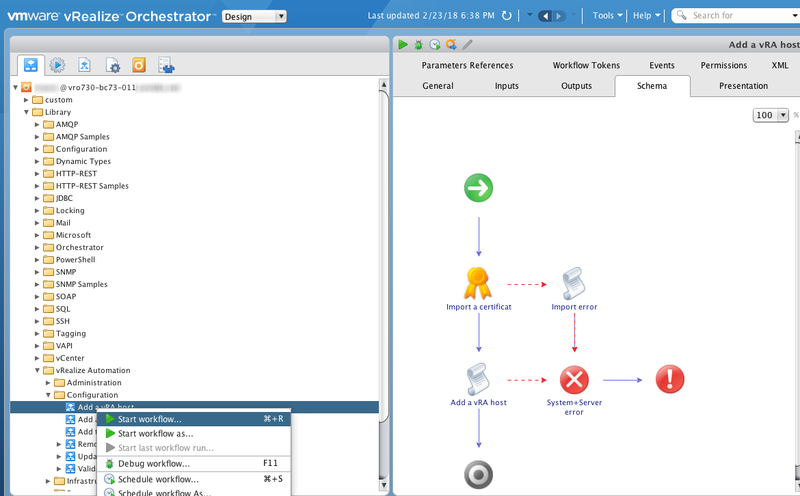 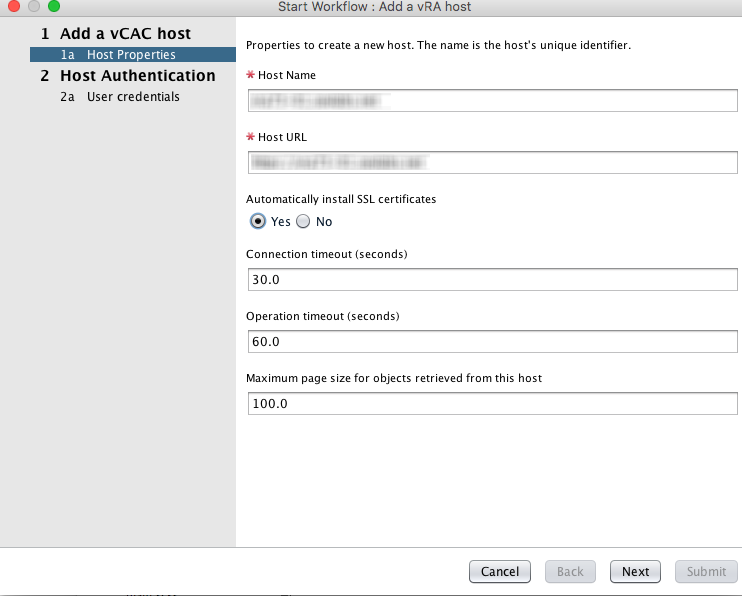 The vRA Host must be Shared Session mode. 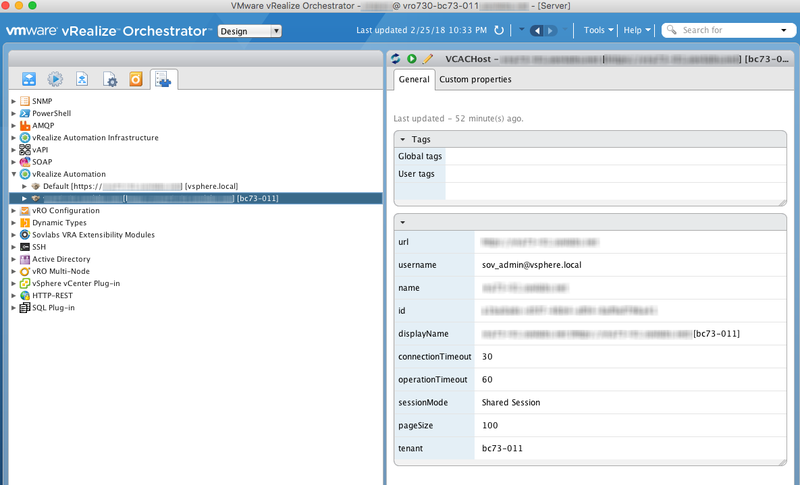 Tenant vRA tenant in which SovLabs Modules will be installed This is case-sensitive!